Clarks present the Swift Turn shoe which features a Velcro strap across the top of the foot. 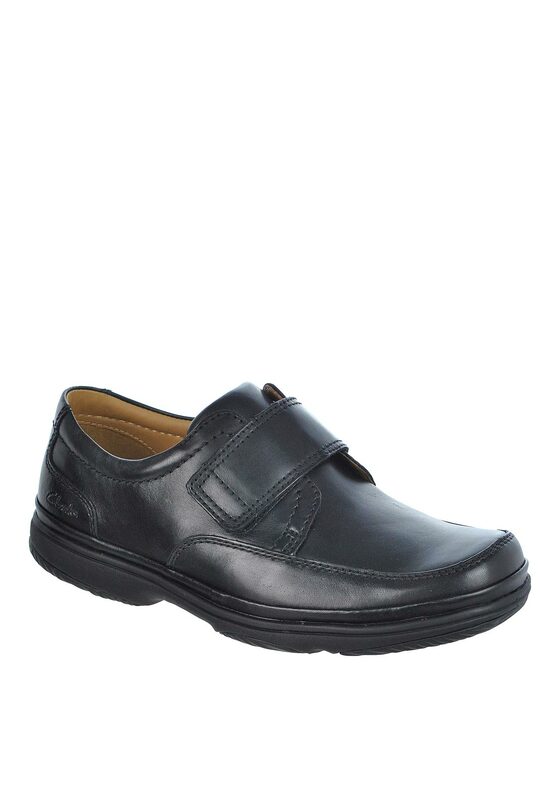 The laidback everyday shoe is crafted from black leather with a soft leather lining and cushioned footbed. The rubber sole has Flexlight technology for grip and durability.